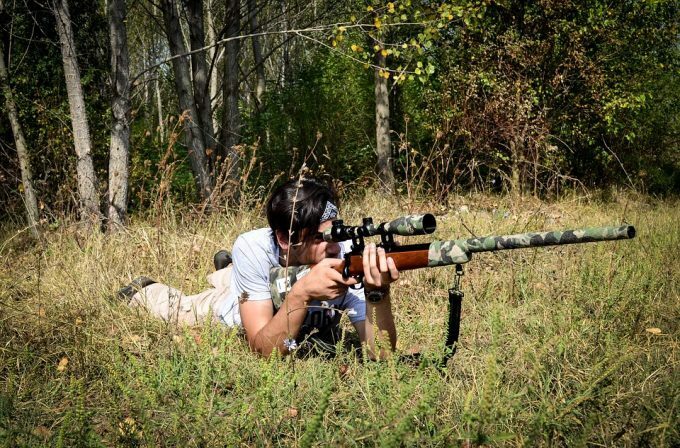 Sniper riflescopes are optical devices that aid in perfecting a shot. The type you have will decide whether you’ll go home with your target/the sheer pleasure of achieving your mission or a dejected look. The market is filled with many of them and novice hunters suffer the most when it comes to grabbing something worth one’s bucks. Experienced shooters, on the other hand, have no problem finding what they want. Nevertheless, if you are looking for some of the best sniper scopes for your rifles, you are in the right place. We have reviewed for you some of the best riflescopes that will make you clear up your schedule just to go out and hit something with them. The table below displays the scopes and a brief explanation of the main features. Many people including video gamers (unfortunately even elite hunters) think that having a glass with better magnification automatically makes them an elite shooter. That’s not it. There are many parameters that have to be considered if you are to get the best long range scope. Some targets will be in motion, others will be in different lighting conditions and a few could be in both conditions. This is when the type of scope you have matters. Sure, the scope you have may be equipped with a generous eye relief, automatically adjusts the light, it’s lightweight, and other special features but without superb magnification, you’ll be looking through a toy scope. The best scopes sports magnification of 10X and above. This ensures you don’t struggle to get a good view of the target. Remember some factor like mirage, narrow field of view and vibration can affect accuracy no matter the level of magnification. While still on magnification, it mandatory to point out that higher magnification is not necessarily the best. In hunting, there is something they call an overkill (obliterating the target). So, make sure you choose a scope with suitable magnification. Hunters need to zoom their target. 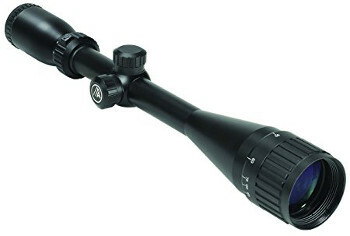 This makes a sniper scope with low range and higher range zoom power a great buy. The sweetest range is considered to be from 5x to 25x. From our table above, you will realize that most of those scopes have an objective diameter of 40mm and above. 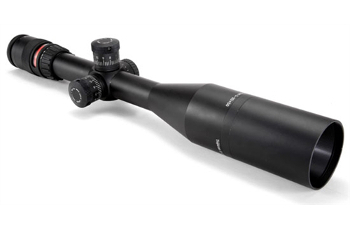 Larger diameters allow sufficient light to enter into the scope resulting to improved clarity. This translates to longer hunting hours! The real secret to getting a high-quality scope is how it gets light through. A larger objective diameter will allow in more light. Reticles offer accurate aiming points. 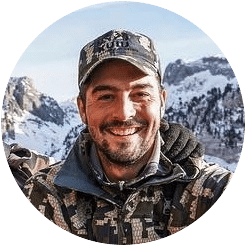 Each reticle comes with its level of precision so you have to do a thorough research and find the one that suits your hunting needs. 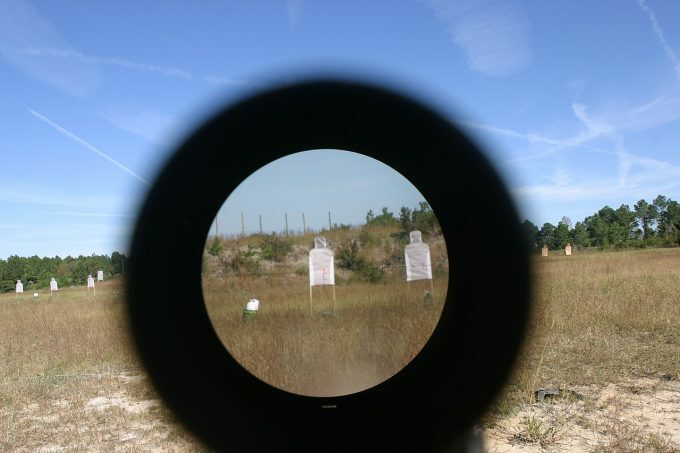 Generally, most people prefer reticles with spaced dots or hash marks along the vertical and horizontal axis. Long range shooters, on the other hand, need a windage and elevation dials. This feature is largely found in high-end scopes. These devices have different mechanisms like a rugged outlook or a tension spring that absorbs the forward, axis and multiple side impacts. Absorbing recoil blasts not only helps in not scaring the target away but contributes to the longevity of a scope. If you find yourself missing your targets a lot, you may be having parallax issues. This is a state where focusing on one thing a lot creates another similar image upon moving your head just slightly. This happens a lot when you are using 10X or higher magnification which explains why it’s better to stick to using less than 10X scopes. Nevertheless, an adjustable objective lens with a ring on top of it can eliminate or reduce parallax, at the least. When looking for the best sniper scope, check if it has BDC (bullet drop compensation) and MOA (minute of angle). These adjustments are essential in achieving accuracy. 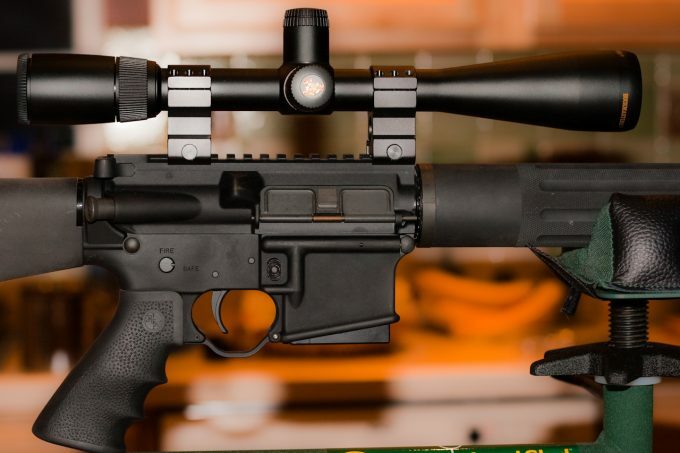 Additionally, special features like a multi-coated lens, nitrogen filled interior and a wider field of view contribute to a better experience behind the rifle. Generally, the more you spend, the more you are likely to get a sniper scope with stunning functionalities. Specific features: 6.6” mounting length, 30 mm diameter, eye relief 3.9” and weighs 32 ounces. The Nightforce Optics’s exceptional capabilities make hard target and long range shooting a breeze. 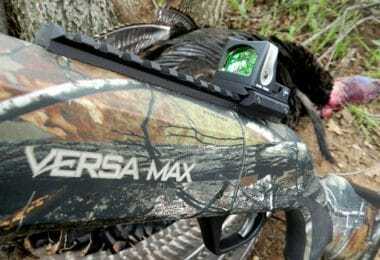 This model sports the best magnification, a longer eye relief, and ¼ MOA adjustments. Both these features combined enable snipers to accurately nail targets that are 2000 yards away. 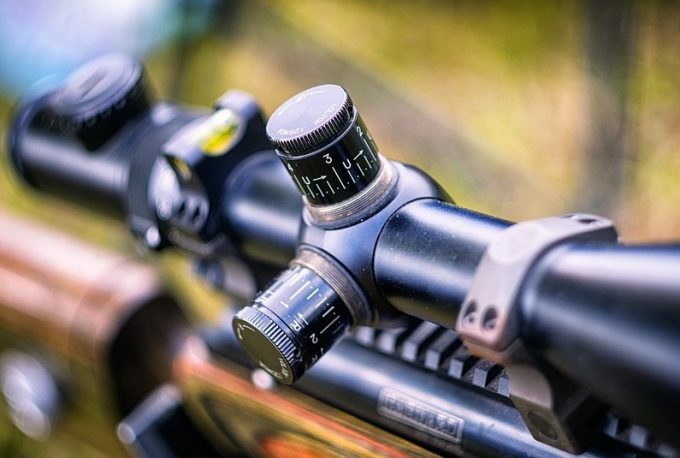 The scope is slim; a design that makes it fit on most rifles’ mounting systems. Nightforce’s interior is coated with high-grade titanium, the glass is clear and tracking is nearly flawless. 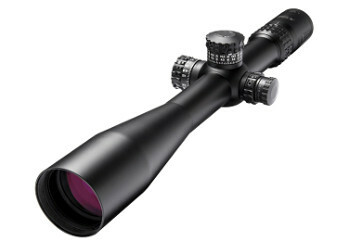 Other parts sport aluminum material making it one of the long-lasting sniper scopes. The power selection ring and locking ring have serrations that provide a finer grip even when your hands are sweating. As for the knobs, you’ll find them to be large, serrated and marked with large numbers for easy reading. When you turn the knobs, you’ll be able to feel the clicks and know when to stop. Nightforce has been battle tested and found to be great in every way from the looks, build, precision and durability. If you happen to experience inaccuracy issues, that would be your hand being unsteady-not this scope. Nevertheless, you need to choose your reticle carefully to get much from this fantastic riflescope. Included: Len cloth, protective scope caps, a set of rings and a limited lifetime warranty card and battery. The BARSKA 3-9×42 IR may be a budget buy but it’s packed with high-end optical features that you would only expect to see in expensive scopes. It’s strongly built with an ergonomic rubber that makes it shockproof, waterproof and fog proof. This scope is best suited for mid and long range shooting. The green and red illuminated MIL-dot reticle makes targeting of objects accurate in dim light. 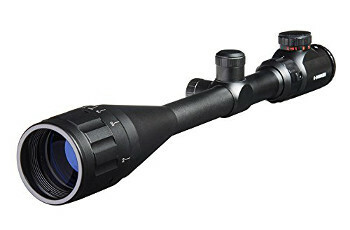 The image quality of this scope is further improved by the black sunshade option and fine turning of windage and elevation using an adjustment knob. The scope comes with a Lens cloth and protective scope caps to prevent lenses from becoming dusty. Barska works with adjustments of ¼ MOA adjustments. The clicks are well spaced to prevent the user from exceeding or making fewer rotations. Generally, this scope offers much at its suggested price point. It’s shockproof, waterproof and fog proof. 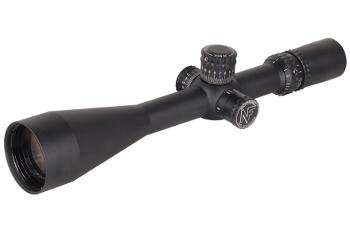 The Burris XTR II Riflescope is considered a holy grail for tactical operators and competitive shooters. It’s 5 times zoom system, precision adjustment knob, front focal plane reticles and a zero click technology make the performance of this sniper scope unprecedented. The images produced are amazing even when viewed under extreme conditions. At about 3.4 pounds, this excellent piece of work’s weight is still manageable. The parallax adjustment and side focus all play a role in helping the shooter make adjustments without affecting the shooting position. Burris XTR II Riflescope features a rugged appearance and a triple spring-tension that makes it shockproof during a shot. The scope is also fog proof and waterproof. Burris XTR II’s 30 years unconditional warranty is something to smile about. This duration assures the buyer that the company believes in its product thus no need for short warranties over the fear that it might falter quickly. Long range shooters will find this scope to be extremely excellent in every way. Specific features: Alpen AccuPlex tapered reticle, 1/4 MOA click finger adjustments, generous eye relief, fast focus eyepiece, a lifetime warranty. This riflescope presents itself as the best choice for those who are out to get something that can work but at a lower price. 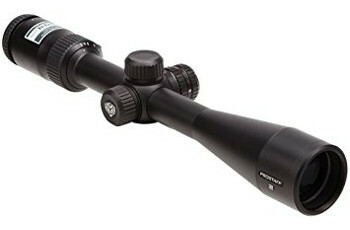 Capped below $100, this scope has a zero click technology for easy adjustment through the ¼ MOA click finger adjustments. The fast focus eyepiece and multi-coated lenses contribute to superb images being produced. The generous eye relief, on the other hand, provides comfort. The ALPEN Kodiak Riflescope has a wide angle viewing. Even in the dimmest light, the one-inch tube diameter allows enough light into the scope thus providing satisfactory optics. Windage, elevation and other adjusting dials are very straightforward to use and have clear marking to make reading as effortless as possible. Alpen’s AccuPlex tapered reticles are reliable when it comes to accurate pinpointing. Concerning the general construction, this scope is made from aluminum with a black matte finish and a rugged appearance making it shockproof. Its interior is filled with nitrogen rendering it waterproof and fog proof. Also, Alpen’s lifetime warranty secures this scope against any form of defects. Specific features: Vapor-deposition coatings, accu-range reticle, rapid target acquisition eyepiece, waterproof, fog proof, shock proof. 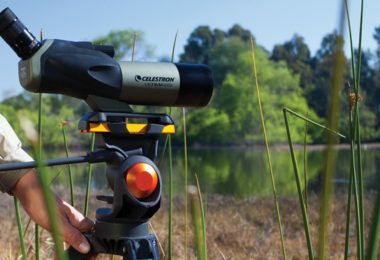 The Redfield Revolution Accu-Range provides hunters with both low-end and high-end magnification to suit different occasions. This scope is considered a revolutionary, a rebirth from former models. It brings to the table illuminator lens system that features premium lenses and vapor deposition coatings to provide unequaled image quality. The vapor-deposition coatings ensure superior light transmission even in dim lighting. For long range accuracy, Redfield’s Accu-Range reticle ensure the target is locked making aiming quite a simple task. When this deadly accurate Accu-range reticle is combined with the Rapid Target Acquisition ability of this scope, there will be no missed opportunities. 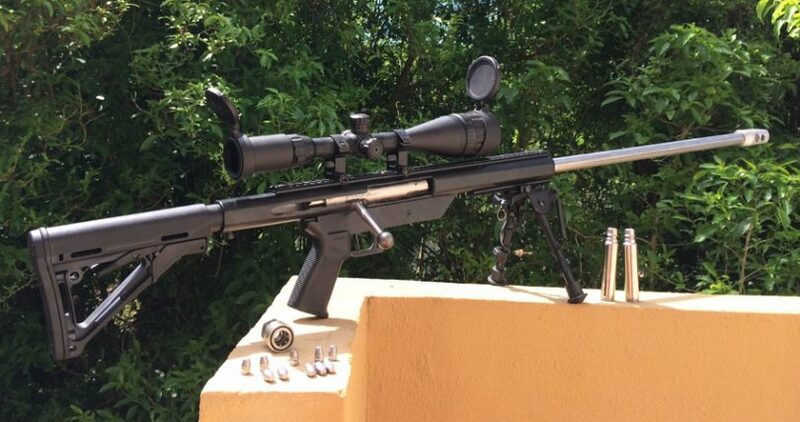 The construction of this sniper scope includes materials that render it shockproof, waterproof and fog proof. Despite the collection of splendid features, this scope doesn’t have parallax correction. This should be expected considering it’s a budget buy. Additionally, its power is 9X, which is low to warrant the need for parallax correction. For effective results, ensure your targets are at 500 yards or less; beyond that, you are likely to miss. Nikon’s multiple layers and multicoated interior prevent light reflection while transmitting sufficient light for proper locating and accurate shooting of the target. Still, on image projection, this scope’s see-through reticle gives the user exceptional advantage during long-range shooting. It helps you to measure the range and take shots accurately from different positions. The ballistic technology as well provides precision for long range target thus ensuring you don’t miss. The Nikon PROSTAFF 5 BDC Riflescope’s high-end design sports aluminum material with a black Matte finish, spring loaded zero-reset turrets for easy re-engaging and a fluid material that makes it fog proof and waterproof. The scope has the ability to absorb shock during a recoil blast. 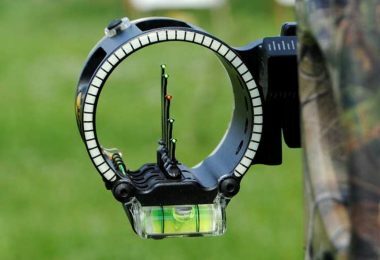 The MOA adjustments of this scope are done in quarterly settings through the help of a mechanical hand thus minimizing the chances of hitting a miss. This sniper scope’s generous and consistent eye relief keeps your eye safe even when you are using the heaviest recoiling cartridges, lighter rifles or when shooting at different angles. Another advantage of this long eye relief (also called high-eye point design) is that it offers a clear field of view even if one is wearing eye protection. 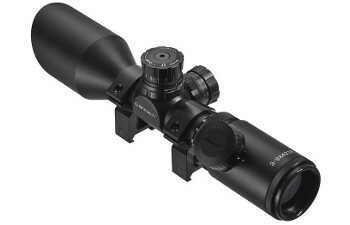 Above all, this scope is pretty cheap, a factor that can motivate anyone to buy it. Some scopes cost more than the rifles themselves and this discourages many people who want to venture into hunting. Specific features: Aerospace aluminum alloy material, uncompromising mechanical performance, green and red illuminations, and magnification of up to 24X. Included: Cr2032 battery, cleaning cloth, allen wrench, lens cover and two ring mounts. The Pinty 6-24X50mm is the least expensive of all the products reviewed in here. Most probably, you’ve concluded that its piece of crap, but it’s not. Surprisingly, it carries features some of the top sniper scopes in this list lack. Out of the package, this scope comes with accessories like a battery, lens cloth, an Allen wrench and other items to ensure smooth running. This scope’s interior is built to transmit every bit of light contributing to greater images. The O-ring and nitrogen fluid purges out any air, water or fog thus ensuring better visuals are obtained. Pinty 6-24X50mm also has red and green illuminations making this scope suitable for different environments. With the help of the ever-accurate Mil-dot reticle, acquiring a target becomes as easy as running a knife through a cake. 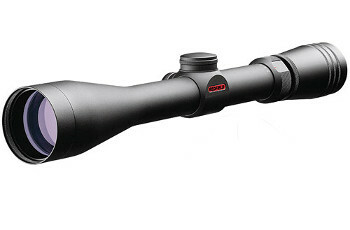 If don’t have plenty of bucks to throw around for high-end sniper scopes, try Pinty 6-24X50mm. its aerospace aluminum alloy material will definitely make sure the scope lives long enough to be handed down to your protégé. Quality is defined by the number of features a product has. Judging by the many excellent features packed in this sniper scope, very few would escape its enchantments. Beginning with the optics, Accupoint Triangle RifleScope sports superior quality lenses that are multicoated to gather as much light and minimize distortion. The scope is illuminated by fiber optics and an inbuilt lamp to eliminate emergencies created by batteries failing. This scope has some level of intelligence such that when lighting conditions changes, it also adjusts itself to ensure the reticle is getting sufficient light for easy targeting. This is why this scope is considered the best companion in all conditions and environments. Besides the impressive features outlined above, users of this scope will feel safer with its longer eye-relief. Its 30 mm tube is long enough enabling it to be mounted from several different points. There is a lot to be admired from this sniper scope. If you are the kind of an individual that can’t compromise on quality, then Accupoint Triangle Riflescope is exactly what you need. Its cost is a bit on the higher end, though worth it. If you own a rifle, then the odds are you are looking for something equally fantastic to complete it. You will find some of the sniper scopes reviewed in this article to be of exceptional value whether cheap or expensive. Regardless of the price, some of the things that define a great sniper scope include a longer objective lens, generous eye relief, multi-coated lens, a longer eyepiece tube, higher magnification amongst other things. Did you find any of the reviewed scopes to be suitable for your rifle? Have you used something good that you think could have been featured in this review? Feel free to share your thoughts with us via the comments section.